Performing Arts plays a pivotal role in developing the girls creativity, confidence, character and life skills. 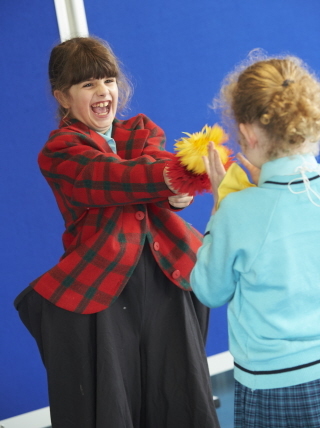 At Halstead, we are extremely proud to offer “Drama” and “Dance” as subjects within its own right, enabling every pupil in Nursery to Year 6 to enjoy weekly lessons. Throughout the academic year, lessons are delivered by a Drama and Dance specialist whose expertise aids the development of skills and techniques as well as self-esteem and self-expression. Years 4-6 are given opportunities to see live performances and take regular trips to local theatre venues to see an array of captivating drama and dance performances. In school pupils take part in regular specialist workshops, “Halstead’s Got Talent,” and watch a visiting company perform a Pantomime. All the girls at Halstead are given the chance to perform on our purpose built stage. Nursery and Reception girls present the annual Nativity play and Year 1 and 2 girls present a Christmas musical production. 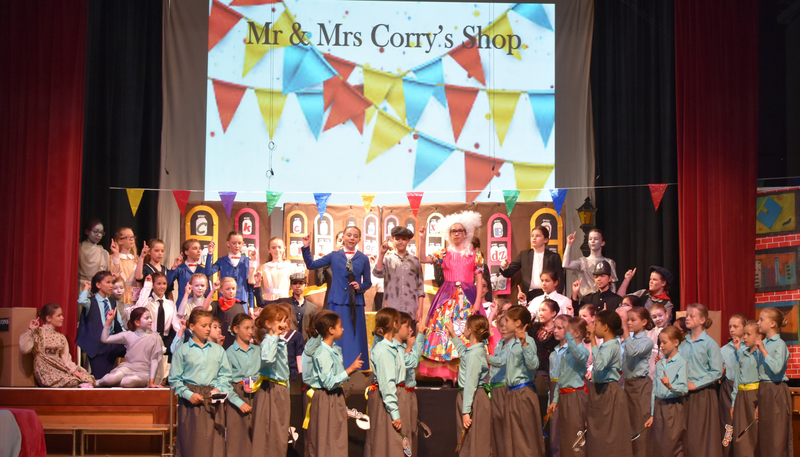 Years 3 and 4 take part in a Spring term production and Years 5 and 6 perform in the Summer Term. Drama and Dance lessons for pupils in Years 3 to 6 are planned specifically around the production process which culminates into a musical production spectacular! In Drama we support and consolidate the high standard of learning through the teaching of cross-curricular themes. 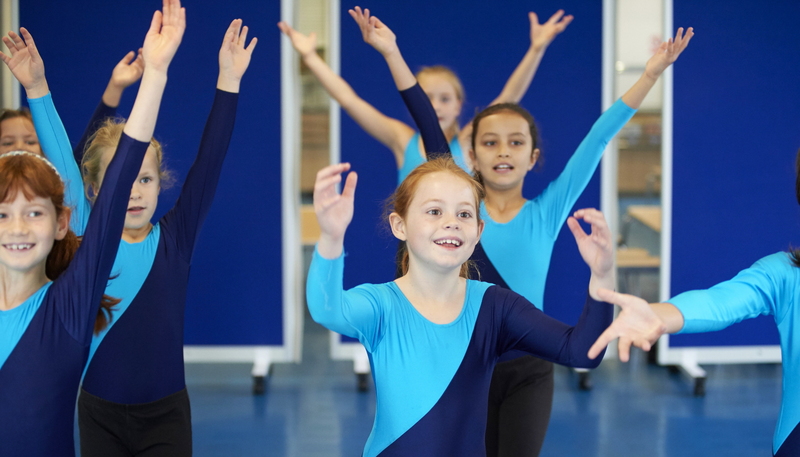 The opportunity for children to create, rehearse and perform work is highly valued and Halstead enjoys a reputation for excellence in the performing arts. Girls successfully apply for senior school drama scholarships but above all, we believe Dance and Drama encourages teamwork, creativity and provides the girls with lots of fun! 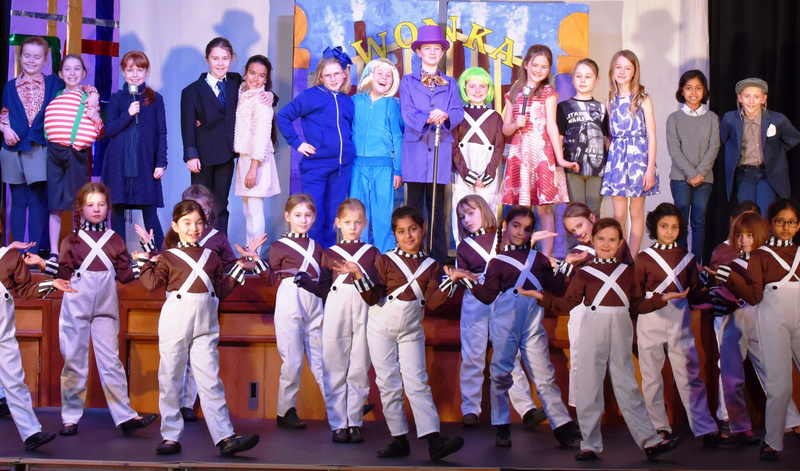 Our most recent musical productions were Charlie and the Chocolate Factory, School of Rock and Mary Poppins.